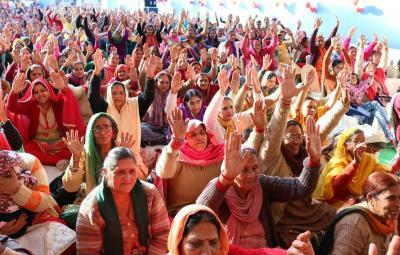 The people of Moga, Punjab experienced the spectacle of spirituality as DJJS (Moga) organized Shri Krishan Katha. The five day Katha (24th Mar’15 – 28th Mar’15) programme commenced with the Mangal Kalash Yatra followed by the recitation of Hymns from Vedas- the sacred verses most ancient Hindu Scriptures. 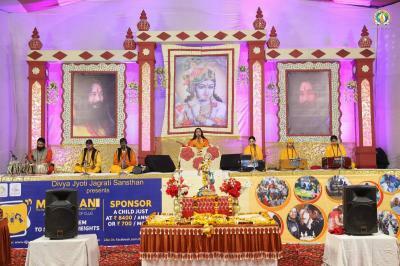 To make the event a grand success, Devotees & followers in large number from nearby areas gathered for their active participation on this occasion. Nowadays, every human being is losing the essential human values, and is bending more towards never-ending desires. The connection with that divine being is somewhat lost. In such circumstances, Divya Jyoti Jagrati Sansthan, under the divine guidance of His Holiness Shri Ashutosh Maharaj Ji is putting conscientious efforts to convey this rich resource of knowledge of the ancient legacy to the masses. In his spiritual discourses, His Holiness Shri Ashutosh Maharaj Ji often portrays Krishna as a multi-faceted personality, who is Omniscient, Omnipotent & Omnipresent. Every Leela of Lord Krishna is infused with magnificent and thought provoking secrets. Their underlying meanings were relevant not only in that era but also hold infallible significance in today's age. The Katha Vyas Sadhvi Garima Bharti Ji, disciple of Shri Ashutosh Maharaj Ji flawlessly narrated Katha with innumerable shlokas, and explained that Shri Krishna manifested himself in a human grab only for the benefit of mankind - to destroy wickedness and establish righteousness. 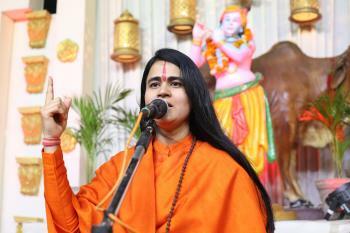 Sadhvi Ji also explained the purpose behind the recitation of Katha i.e., Braham Gyan (Divine knowledge). It is an eternal technique through which we can practically experience and realize god. 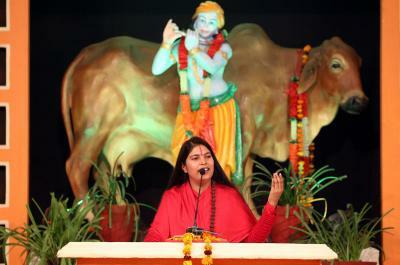 The audience was full of emotions with the soulful bhajans, and background music made the atmosphere divine. The event witnessed the presence of several Govt. Officials including Mr. Anil Bansal (Sen. Dept. Mayor) and Mr. Jarnail Singh (Dept. Mayor). The event also included various exhibitions like Antarkranti, Antardrishti, Sanjeevika, Akhand Gyan (Monthly Spiritual Magazine), Bodh, Santulan, etc. The Katha imparted the inevitable divine endowments to scores of people.